Not only will this amazing foundation totally hide all of your skin’s most embarrassing imperfections, it will also be nourishing your skin and healing it at the same time! It contains powerful antioxidants from pomegranate extract and moisturizing organic jojoba oil and cupuacu butter. These incredible natural botanicals soothe your skin and pamper it so that it will feel healthier than ever before. The organic extracts in this foundation are super gentle on your skin and the mineral pigments mean that it will last all night long, even through the most intense party. 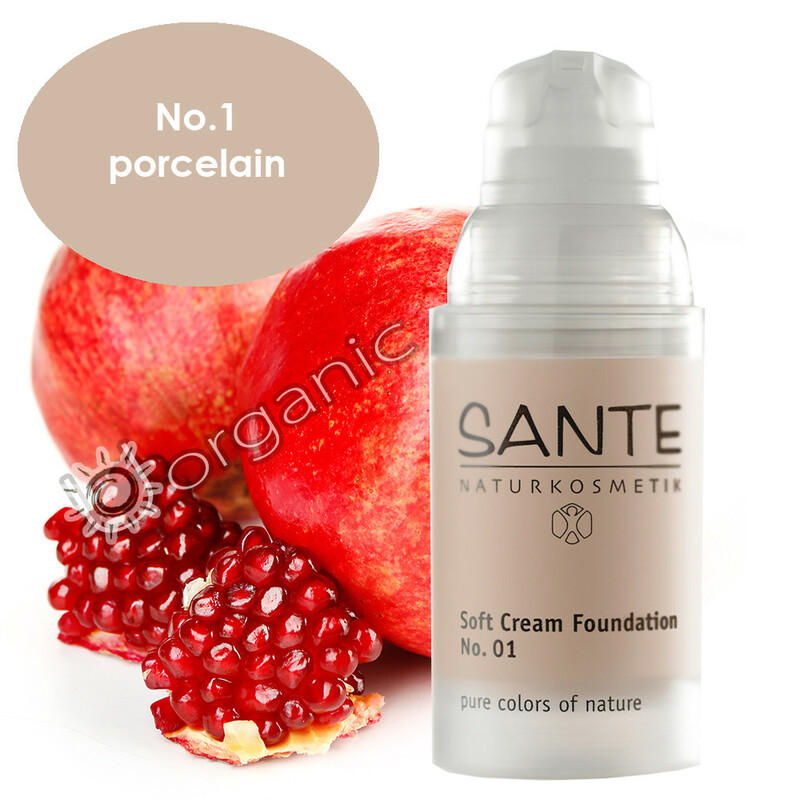 Sante Soft Cream Foundation will moisturise and nourish your skin while camouflaging any nasty redness and (gasp!) wrinkles. This gentle foundation is not only good for your skin, it’s also vegan so it’s good for your conscience too!